Windscribe is the most easy to use and powerful VPN service you will ever use. One should try Windscribe VPN service as their features are excellent and fulfil all your requirements. Most of the VPN service providers are allowed with PCs only but Windscribe becomes unique by offering their VPN solution for all the devices. Security and Privacy on the internet is one of the major concern of every internet user nowadays, especially for big giants whom all the confidential data is available on the internet and their entire business is dependent upon that. You should follow one more measure to maintain your internet security and privacy and that is known as VPN. VPN stands for Virtual Private Networks and it is useful to secure your internet connection. It masks your network by another virtual another network and creates a masked IP over your connection. 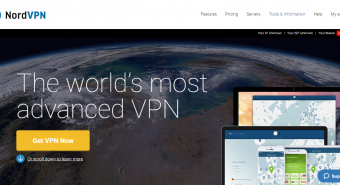 Here in this article, we are going to discuss a similar VPN service that would help you to chose your VPN service. Windscribe is private VPN service provider. There are 2 services in which they are dealing one is VPN service provider and another one is their chrome extension, They help you to access restricted content and one can also use their VPN Services to maintain their internet privacy. Below we have mentioned all the feautres of Windscribe VPN Services. There are so many areas across the globe where every country, like Denmark for example, block some particular content that comes under some kind of violation, Using Windscribe VPN one can access all that geo-restricted content without any hindrance. VPN mask your IP address with another IP address thus, all the kind of content get accessible to you whether it is Geo-restricted or not. Chrome browser easily tracks your browsing history and did not keep your browsing history personal that is proving as a privacy issue for many of the users. To solve this security and privacy issue, You can use Windscribe VPN as they don’t save your browsing history. It keeps your internet security and privacy unaffected and you can access any kind of data without any fear of security. As Windscribe offers you complete security. Windscribe masks your actual IP address and other information like your service provider etc. Along with this, all the things you are browsing and using is in the form of encrypted data that would help you to hide your personal information from getting hacked, circulated or any kind of another harmful security measure. Windscribe is omnipresent for all devices that imply that you can use Windscribe VPN services with every possible device irrespective of the operating system it belongs to. It is compatible with Windows laptop, Macbook Users, IOS devices, android devices chrome browser etc. This serves a huge range of devices in its own. They also have a VPN tool and chrome extension. Windscribe is configured with all the Ad-Blocker tools that are required to block any kind of form advertisement present over the internet. It would also improve your user experience and there are so many ad scripts that contain malicious file or any 3rd party extension, Thus you also get your device protected from these scripts and get a better user experience. 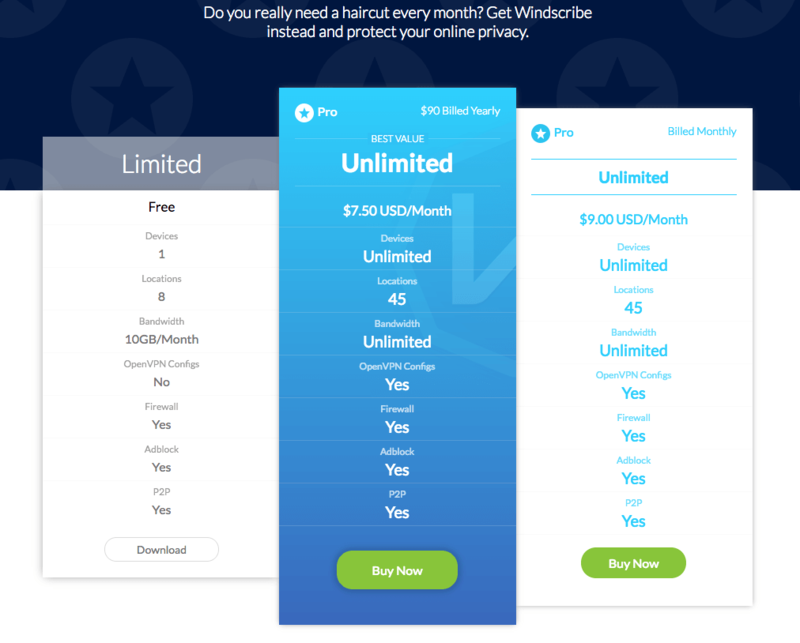 There is 3 kinds of pricing plans available with Windscribe that are mentioned below. One is free while other 2 are paid on monthly and yearly Basis. Their Limited plan is restricted to 1 device only and can be accessible from 8 locations. It is free in nature and you don’t need to pay any penny to use this account. It is enabled by ad-block as well. You can also access their P2P feature that allows you to share and access media files from one or more than one location without any error. The bandwidth with the limited plan is 10GB/Month that is quite low. You can click here to get more information. Along with this, their servers for limited version users are only located in Tier 1 countries like USA, UK, Germany, France etc. While their paid users can access the servers of other countries as well. They have another plan for commercial use and an extended version of limited plan where they allow access to unlimited devices up to 45 locations with unlimited bandwidth, Rest of the configuration is similar to limited plans. 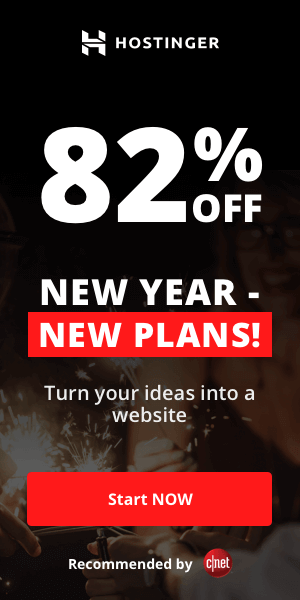 Their yearly plan costs you 90$ per year equivalent to 7.5$ per year. You can click here to get more information about this. Their Monthly plan is similar to their yearly plan but here you can pay on the monthly basis. It will cost you 9$ per month. You can click here or check the image given below to get more details about the pricing structure. The user who is using pro version can use the servers of more than 30 countries. To take your internet security next level, Windscribe is providing you with an amazing tool secure.link. They work in a similar manner just like an URL shortener. The twist with secure.link is that it also check the security level of a particular page in terms of internet security and privacy, ads or any 3rd party tracker. One can also use this link as a promotional link to get 50% off when anyone signup on Windscribe using your link. It is similar to referral system that many companies are using these days. One can also utilise secure.link to protect a particular web page by making it password protected. You can also enable one more feature where that particular URL would be accessible only if you use Windscribe VPN. It can be very useful for those who use VPN for commercial purpose. In addition, they have amazing service i.e. Secure.link, where you create a unique URL that points to any webpage of your choice and it is a unique feature among all VPN service providers. You can try their monthly service at least and then they can upgrade your plan to the yearly subscriptions. Hope you like this article, if you have any doubt regarding Windscribe, you can ask in comments below and I will try to answer all your queries. The secure link generator is another awesome feature, something not many VPN’s have. I’ve been using Windsribe for 4 months now and have had no problems to date. 100% with the author of this review, Windscribe is one of the easiest and best VPN’s you’ll come across today. Superb! Does what it says it should do. No delays, no hangups, just quality services. One of the best available today. Happy and contented with Windscribe and have been for the last 6 months! Would highly recommend it to anyone, and would even go as far as saying its the best VPN provider available on the market today. The free plan in my eyes is just a bonus! Worth paying for and I have now become a pro plan member. Perfect is the only word that can describe windscribe and its fantastic services. A must for those looking to surf safely without having to stress over the dark side of the internet. Windscribe really does the job and it does it well!!! I’ve now been a member of the pro plan for 6 months and it’s been a really smooth journey. Being so easy to use, plus with such a large selection of locations to choose from, you can easily and freely search the net. More than a VPN, but a fantastic ‘angel’ to watch over you as you surf the internet daily. I love knowing the fact I have that extra security while using my computer and other devices. Also being also to use one account on multiple devices is great and has really been a big help for both me and my family. I’ve started to learn more about VPN’s over the last year and it is something I would recommend everyone invests in. The fact that they use a AES-256 cipher with SHA512 auth and a 4096-bit RSA key proves to me they know what they’re talking about and what they need to provide a great VPN. Love Windscribe ever since I first signed up and that was one year ago! So I tried Windscribe because I was convinced by their positive reviews. It has been ok so far and never have I encountered any problems or even slow connections. I was wondering however, how the pro plan works? If you’ve got any feedback then that would be great. Thanks in advance! I’ve enjoyed using Windscribe for the past few months. It’s been very easy to navigate and includes a great selection of locations to choose from when on the Pro Plan. Worth the upgrade especially if you want to use the unblocking of geo restricted sites feature. Works like a charm and allows you to have it on your phone. Most locations have very reliable speeds, on the odd occasion that certain areas are a bit slow, all you need to do is simply relocate! Top vpn! Windscribe is among my top 3 vpn’s for 2018 and I definitely see it sticking at the top this 2019. The vpn continues to enjoy great updates which help maintain the good speeds and security features. I’ve had a good experience with they customer support and was able to avail of the lifetime plan for a really good price. The free plan is great, however, investing in the Pro Plan is much better for those that are looking to use if on a daily basis. Really enjoyed your review! It was a great help and I agree with all that you’ve said. I’ve been using windscribe for a year now and it’s only gotten better in time. Great features and server speeds! A must have in my opinion, especially for safe surfing. Still, my top VPN 6 months done the line. I wouldn’t swap VPN’s even if I was paid to do so. The overall speeds and services i’ve experience with windscribe have been fantastic, and something i’ve never seen in other vpns. They defiantly now how to maintain their servers as all speeds have provided excellent connections. Such a big fan of Windscribe! It’s been great having on both my phone and laptop, and I’m super happy that you only need the one account to use on multiple devices and browsers. That alone is a great bargain! The speeds are good too, and I really enjoy the extra features that come along with Windscribe. Their security level is top notch!